We recently published a new video to our Q Language Hong Kong You Tube channel where Richard Ford, a popular member of our English teaching team, gave a short overview of what students who enrol on one of our Private (one-to-one) or Intensive English Courses can expect when they come to study English with us here in Hong Kong. You can watch the video below or, if you prefer, follow this link to watch it on You Tube. The video does include English subtitles but we have also copied the transcript of the video for you to read below. Hello everyone, and welcome to this first Q Language Google Hangout. 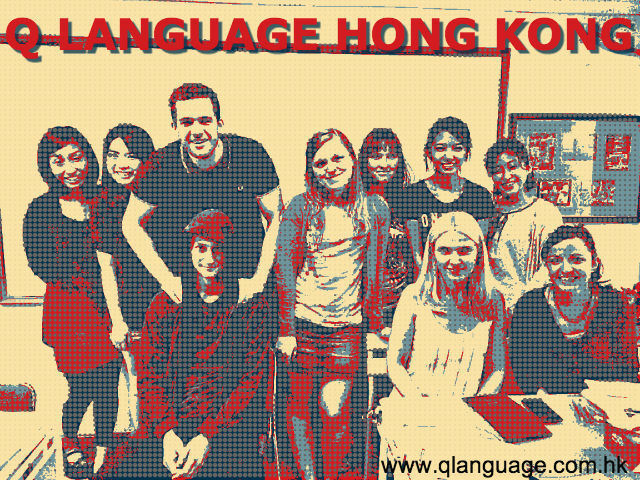 Today we are going to give you a brief overview of what it is like to come to Hong Kong and study English. 1. The type of English classes we offer for our students. 2. 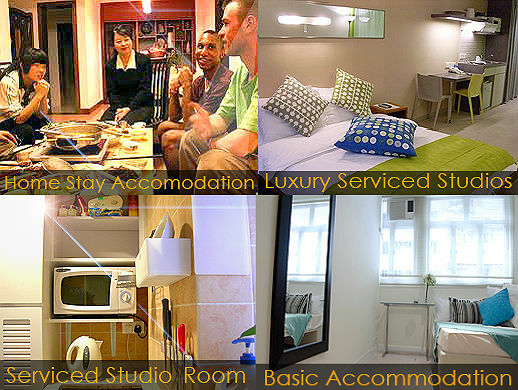 What kinds of student accommodation we can arrange for you in Hong Kong. 3. 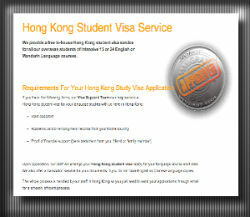 Our free Hong Kong student visa service. 4. Typical activities that you can enjoy in Kong Kong. So, let’s firstly take a look at the English courses you can find here at Q Language. You can find Intensive English courses (General or Business English) for 15 to 24 hours per week in group classes of max. 8 students. The schedule has many options to suit your preference. Choose morning or afternoon lessons from Monday to Friday. You also have the option to change some or all of your group classes to private 1:1 English lessons. This is great for specific study in exams, such as TOEFL, TOEIC or IELTS or for preparing for university entrance, job interviews or anything you wish ! Lessons are held in our Central, Hong Kong Island Centre. You will take classes with students from all over the word. At the moment, you will find 25 different nationalities here with ages from 16 to 65. And in line with Hong Kong’s hi-tech image, you will find free WIFI, student PCs and a range of audio-visual supporting materials. then tell us which class and schedule is right for you. Our levels are from zero (beginner) to 8 (high- advanced). 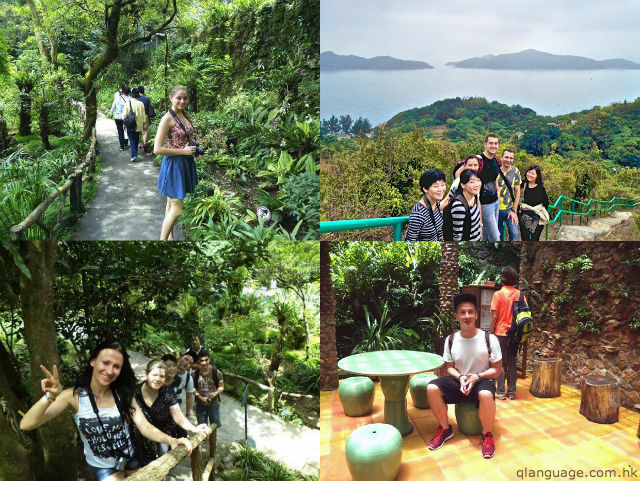 Of course, you will also have some free time in Hong Kong so here at Q Language, we make sure you can enjoy a whole range of extra-curricular activities. These include eating and drinking at the amazing local restaurants and cafes with special parties organised by Q Language staff. For those seeking outdoor adventure, you can take part in boating, hiking or sports events. And for those seeking some culture, just come for the museums and heritage trips to find out so much about Hong Kong’s rich and varied history. And don’t forget, this will also be a great way to improve your English in natural surroundings ! Now, another important service offered by Q Language is the student visa support. You only need to email us your application and documents. The visa is processed by the Q Language visa team and then issued to you directly. No visits to consulates or interviews needed for our students. Many of you must be wondering about accommodation in this big, busy city. Sorry but you won’t be staying in luxury palaces or mansions here. What you can find though are convenient, fully-equipped Serviced Studios very close to our Centre. Shops, restaurants and transportation will be a few minute’s walk away. If you prefer to stay with families, our home-stay service will place you with English-speaking households. Live like a Hong Konger ! Now, Hong Kong has a high density which does means everyone lives close to each other. But this in turn means everything you ever want to buy, see, eat or drink can be found so easily. You can go hiking in the morning, beach at lunchtime and partying in the evening. Hong Kong’s fantastic transportation will take you anyway quickly and cheaply. Well, I hope you enjoyed this brief insight on Google Hangout. ← Learn to Speak English Fast with These 5 Great Tips!